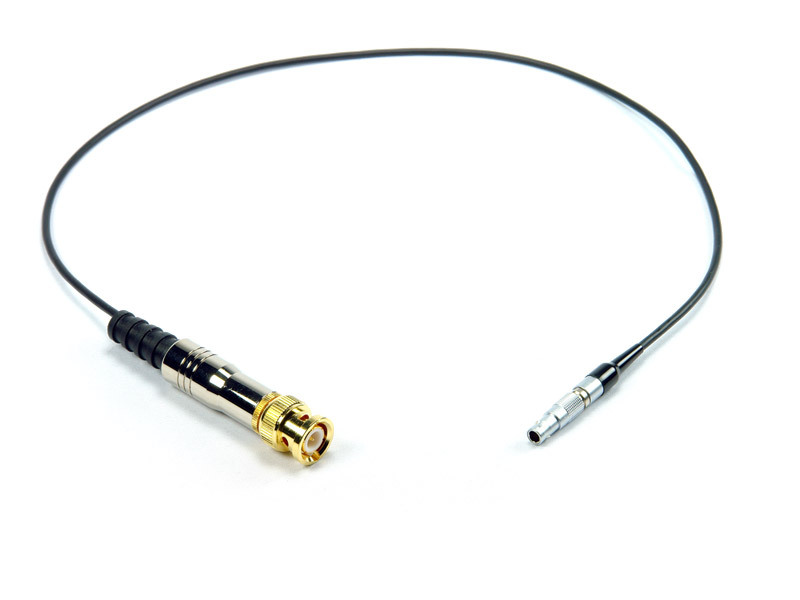 3.5mm RA TS plug to 1/4 inch RA TS plug. 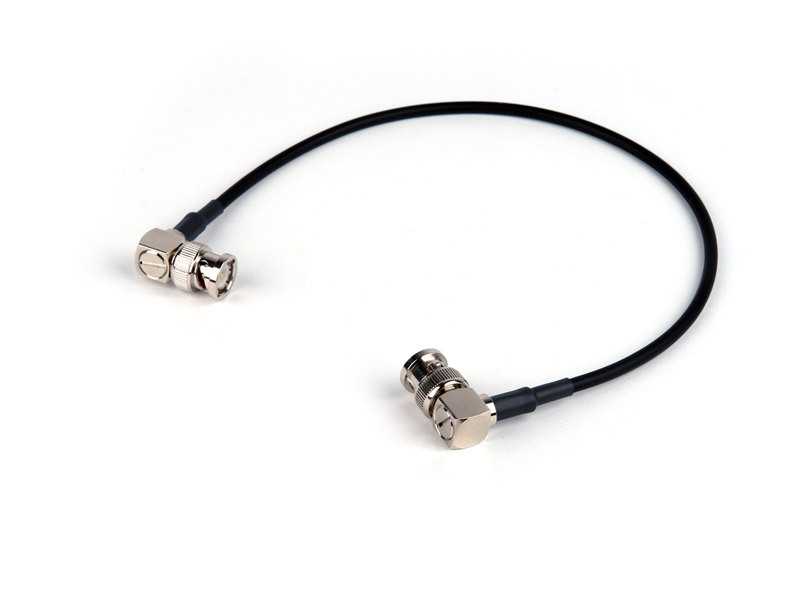 BNC plug to 1/4 inch TS plug. 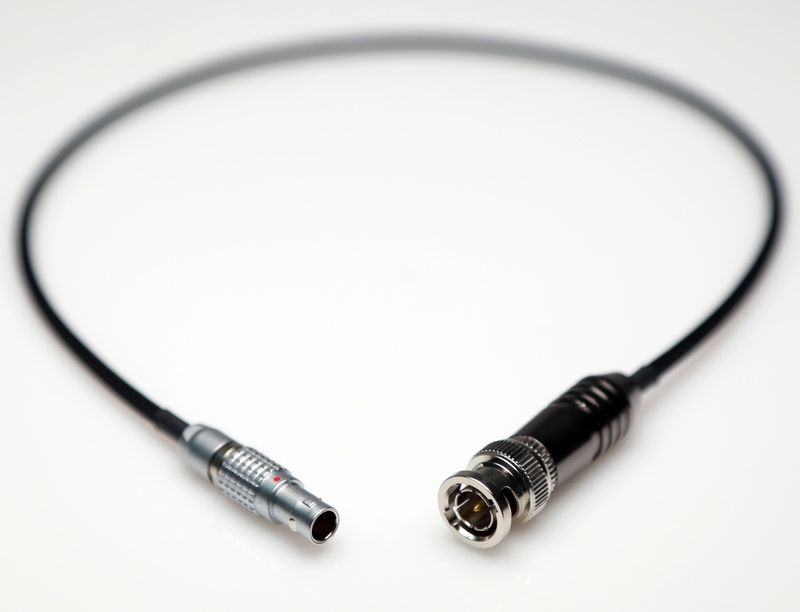 BNC RA plug to BNC RA plug. 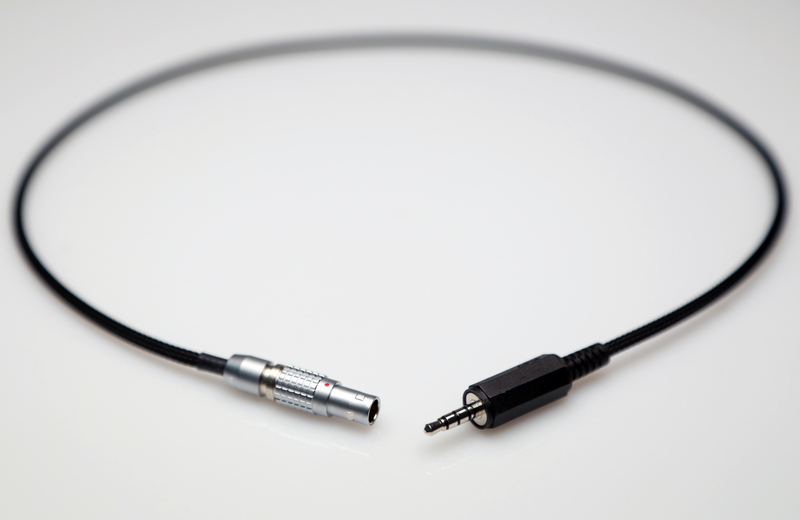 Timecode adapter cable for Sound Devices 552. 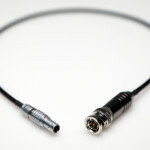 Timecode adapter cable for Red Epic and Scarlet. 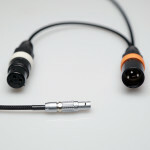 BNC plug to 4-pin Lemo-style M.
BNC plug to 5-pin Lemo-style M (TC in). 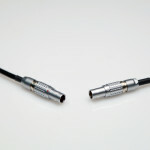 5-pin Lemo-style M to XLR3M and XLR3F. 3 feet with 6 inch pigtail. 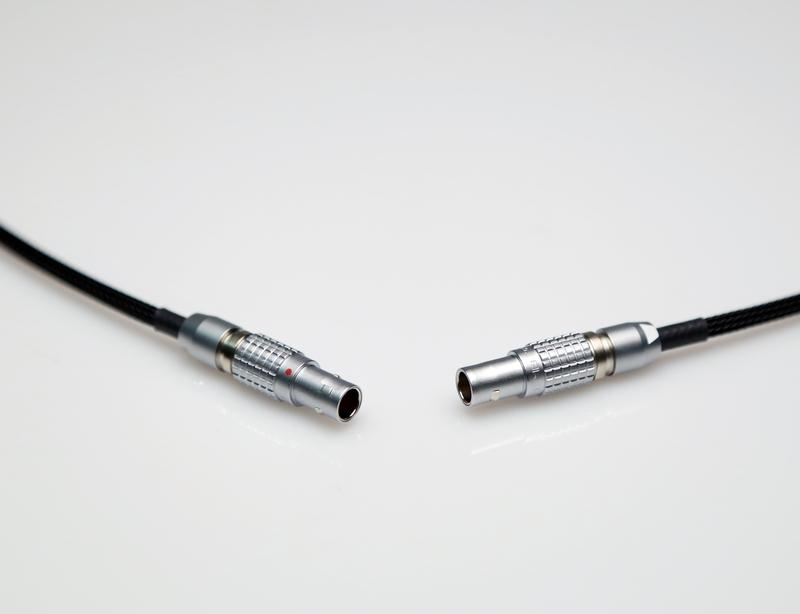 5-pin Lemo-style M to (2) BNC plugs. 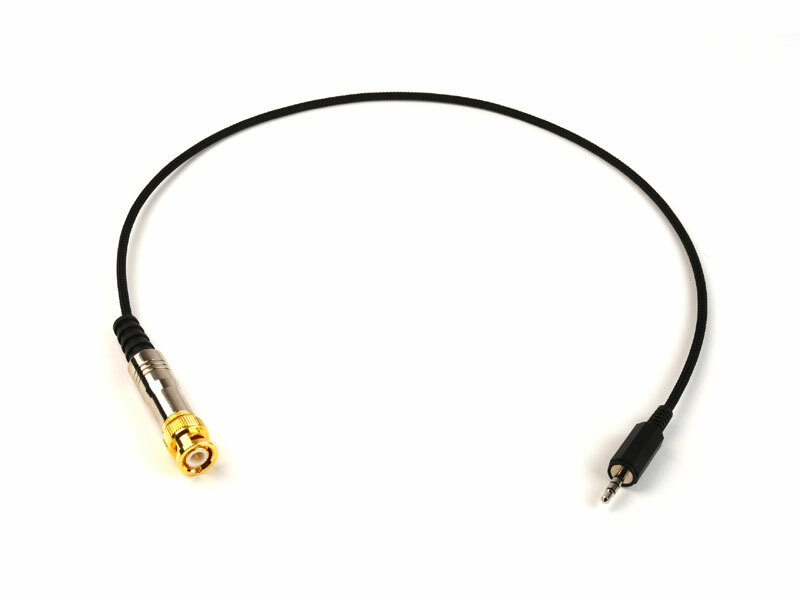 5-pin Lemo-style M (TC out) to 1/4 inch TS plug. 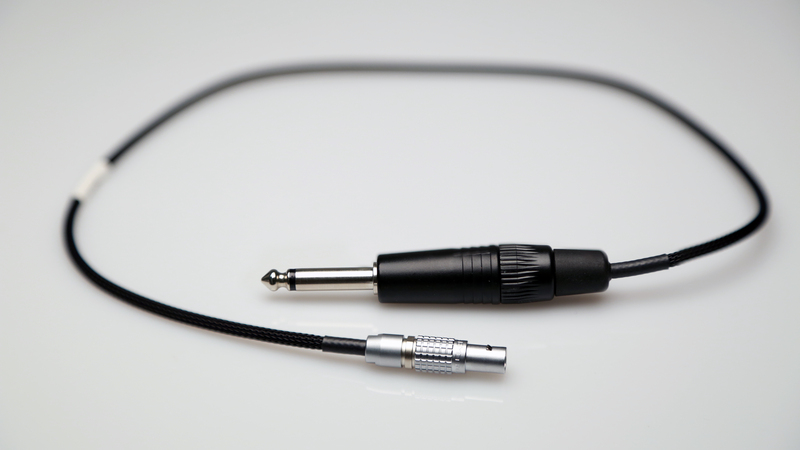 5-pin Lemo-style M (TC out) to 3.5mm RA TRS (ring floated). 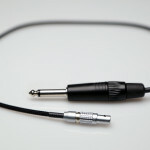 XLR3F to 1/4 inch RA TS plug. 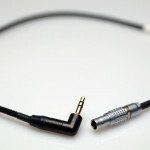 Unbalanced breakout cable for Zaxcom ERX. 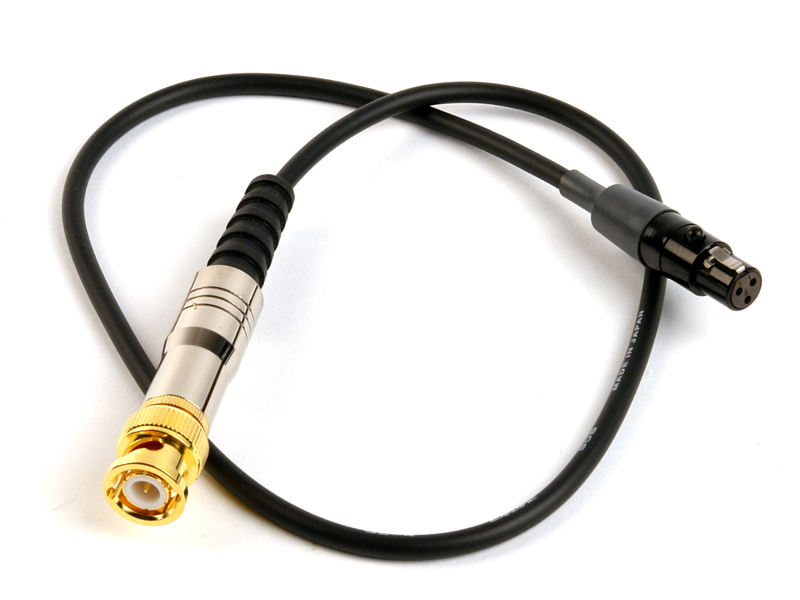 Timecode on left channel (BNC). 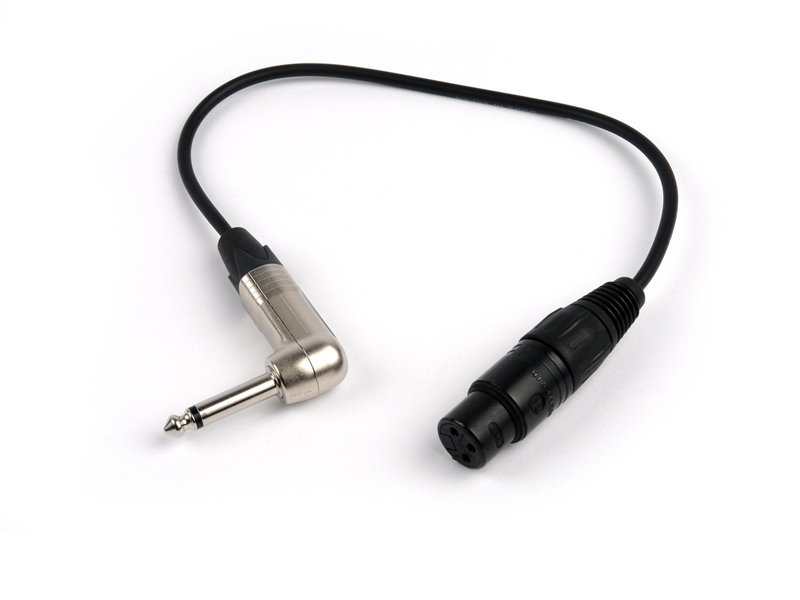 3.5mm TRS plug to BNC plug and XLR3M. 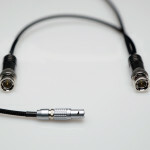 Timecode adapter cable for Zaxcom QRX100. 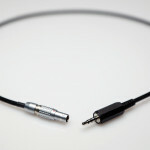 BNC RA plug to 3.5mm RA TRS (tip floated). 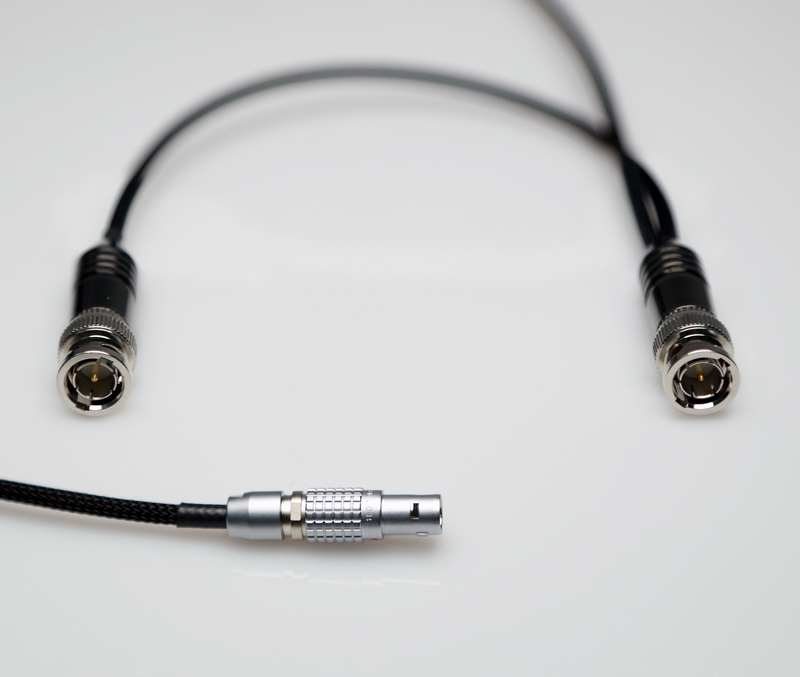 Timecode input/output cable for Zaxcom QRX100. 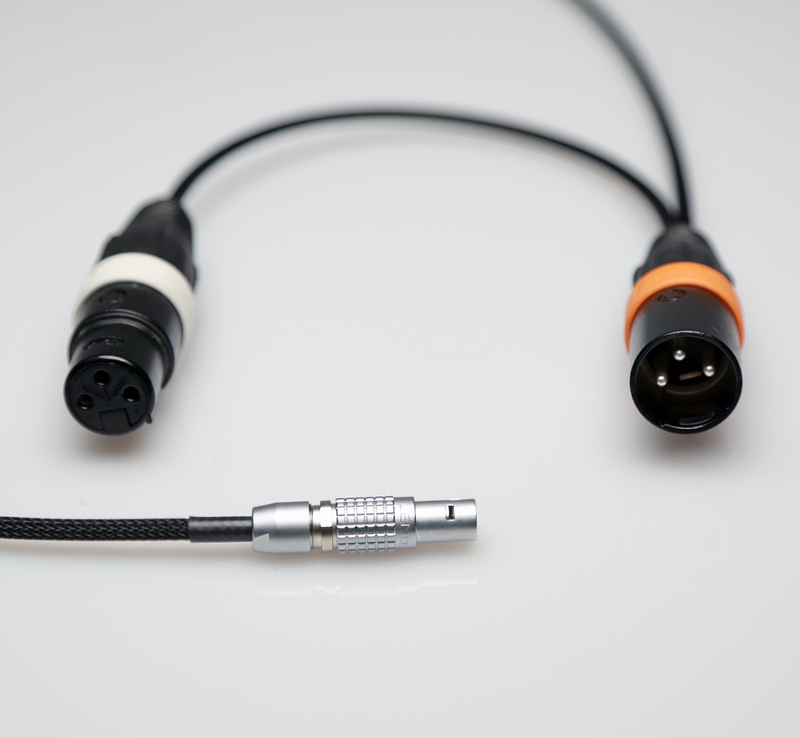 5-pin Lemo-style M to 3.5mm RA TRS plug. 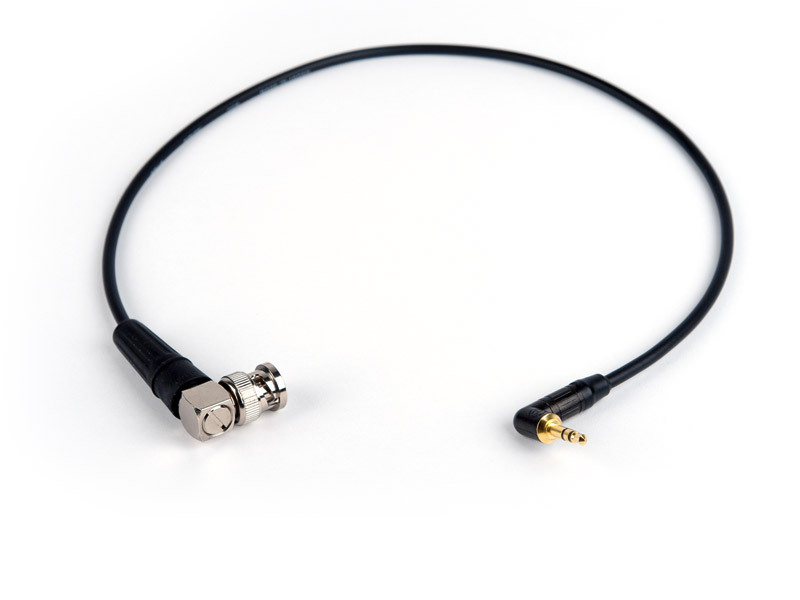 Timecode input cable for iPad and iPhone. 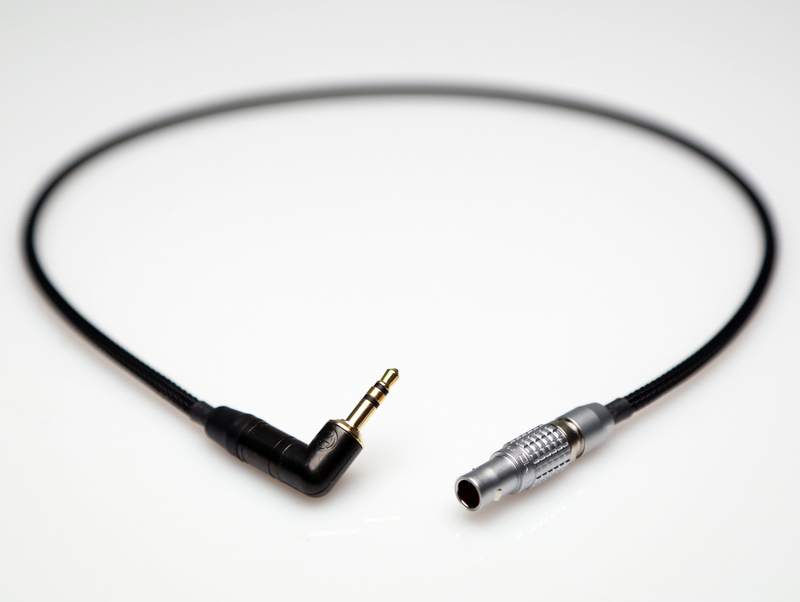 Contains line to mic level pad. 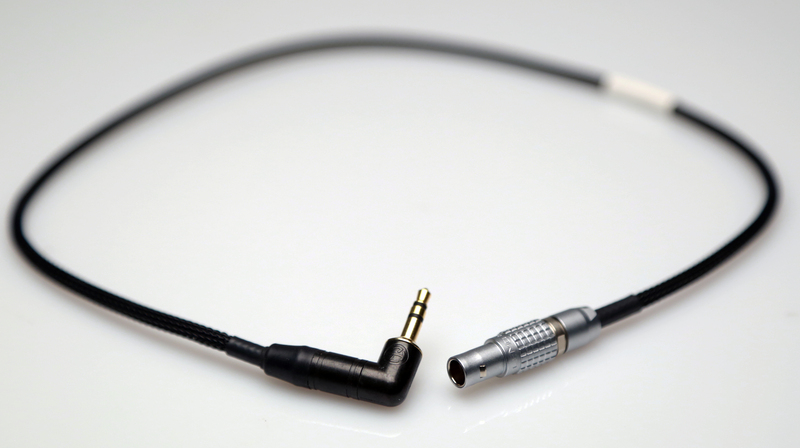 Compatible with most apps. 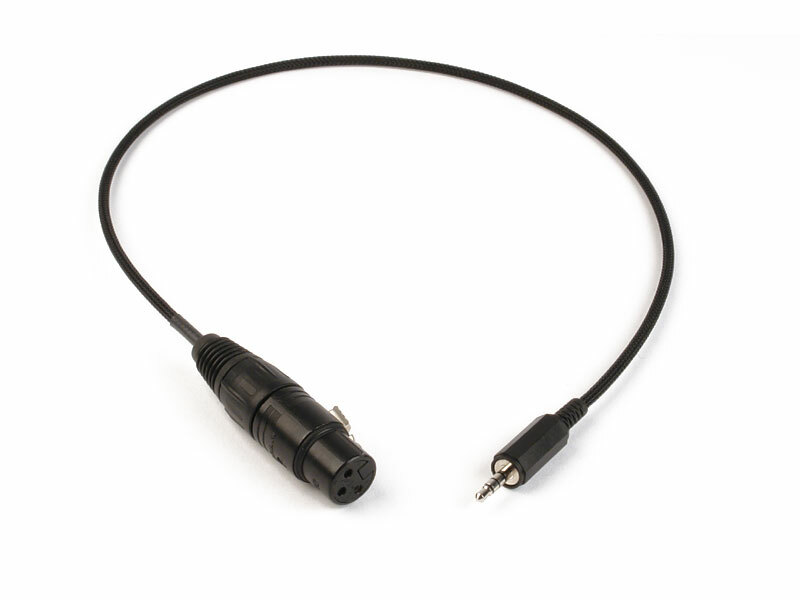 BNC plug to 3.5mm TRRS plug. 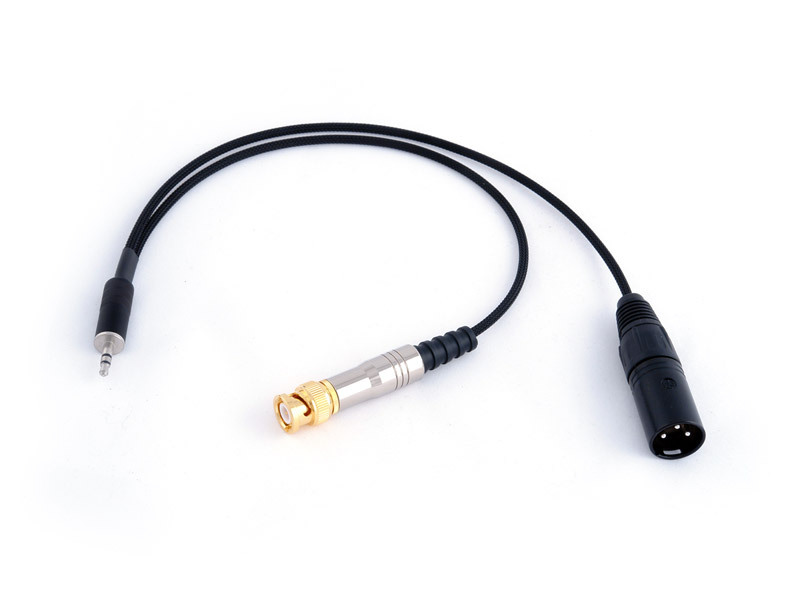 5-pin Lemo-style M to 3.5mm TRRS plug. 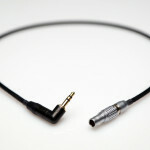 XLR3F to 3.5mm TRRS plug.